What is a Water Management Assessment and what is its Business Value ? With the current drought taking place in the country driven by the El Nino effect, most South Africans are acutely aware of the challenges being faced with regard to fresh water supply. The drought, coupled with the historical disadvantages faced by many in terms of accessibility to fresh water and the fact that South Africa is a water scarce country (the discharge of the Nile River in Egypt alone is about six times higher than the available surface water resources from all the South African rivers combined!) it’s still incredible how little we pay for our water, especially when considering the ever increasing costs of electricity. However, this will not last long. The country has an urgent requirement to shore up its fresh water supply and to further upgrade existing facilities; much like we have had to do with Eskom and its infrastructure of late. I am sure you can see what comes next. Increased costs and increasing punitive measures being imposed on untreated water discharge, whether direct to the environment or to municipalities. To fully comprehend the imminent and potential future risks, you will need to undertake a Water Management Assessment of your business or organisation. A Water Management Assessment looks at quantifying water flow around a facility and testing water quality where applicable with the aim of establishing new water sources and reusing water onsite, thereby increasing efficiencies. This in turn will lead to direct savings on operational costs through the reduction in water usage and potential fines from municipalities. 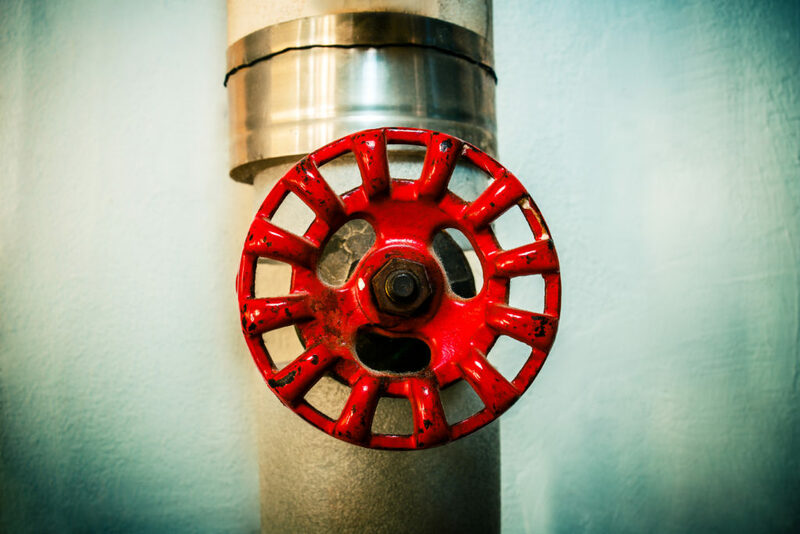 If water usage is critical to your operation, the lack thereof can represent a significant risk to the business’s ongoing function. For example; if you run a bottling plant then water is a key ingredient to your product. Any lack of water within the local area could potentially lead to water shortages and therefore to reduced production which affects the company’s bottom line. Adversely if the bottling plant is a heavy water user within the community, social pressures could also potentially lead to business closure, as public pressure mounts to conserve on daily water usage. By performing a Water Management Assessment of one’s site, these risks could be effectively identified, managed and mitigated ensuring the longevity of the businesses operation. Unlike a Carbon Footprint which includes water consumption data and is an annual snapshot of an organization’s environmental performance, conducting a Water Management Assessment need not to be an annual occurrence. The outputs of the Water Management Assessment should in essence outline a strategy over a short, medium and long term scale for water management opportunities to be implemented. Once the strategy has been implemented, it is then advised to go back to the drawing board and search for additional opportunities to be found on site, based on the site’s new water usage baseline. Essentially, as with most things, there is always room for improvement. Depending on the operations conducted on site, the technologies installed and the maintenance applied to the water using devices; the potential for savings can vary significantly. However, it is not uncommon to find up to 40% reduction opportunities of onsite water usage. The typical range of water savings however lies between 10-20% from the sites original water usage baseline. Depending on the operations conducted, either one or more of the above may be applicable to the site. The Water Management Assessment will immediately highlight the opportunities available. So what does this mean in terms of costs to undertake an assessment? Costs can vary dramatically depending on the scale of the organisation or the water usage device(s) in question. Retrofitting a standard flow rate showerhead to a low-flow showerhead will come at a low CAPEX amount yet have up to 50% water savings and a first year ROI of around 300% taking into account both water and energy savings. Implementing a large scale reverse osmosis plant for water treatment onsite at a manufacturing or industrial operation can cost many millions of Rands yet could lead to a significant reduction of water usage onsite and potential penalties being enforced by the municipalities due to the original wastewater streams. When all the factors are taken into account the ROI’s on the larger implementations can typically be in the range of 25-50%. The length taken onsite to perform a Water Management Assessment is dependent on a number of factors such as size of the site, the skills of the water auditors analysing the quality and water flows around a site, number of water usage devices, length of monitoring required etc. It is highly important that the water auditor is experienced in performing water assessments, as there could be significant risk in quantifying the potential water savings, financial savings and ultimately the project’s financial performance should the auditor get the initial figures wrong. At the end of the day, we would always recommend that an expert perform a Water Management Assessment for the organisation. There are no direct qualifications in order to become a water auditor, however a strong engineering (Mechanical Engineer) background and a good track record in quantifying and implementing water management opportunities are key. https://www.waterefficiencymanagement.co.za/wp-content/uploads/sites/13/Water-Image-1024x683.jpg 683 1024 Jef http://wem.terrafirma-academy.com/wp-content/uploads/sites/13/tfa-logo.svg Jef2017-05-15 15:53:092017-05-15 15:54:32What is a Water Management Assessment and what is its Business Value ?